PADI Published my Blog Post! My husband and I started diving in the 90’s. We took some advanced training back then as we wanted to dive together off of our 18’ Boston Whaler, “Kokolishi” in the waters of Bonaire, a small Dutch Island in the Caribbean. We got our PADI cards for Advanced Open Water and Rescue. My husband, Richard went on to divemaster and then instructor. I chose the fun path of 5+ specialties and earned the Master Scuba Diver rating and thought that would be as far as I would ever go. I shot loads of slide film and enjoyed underwater photography for many years. A few years ago, my hub & dive buddy Richard, decided to retire from diving and enjoy being a PADI Alum. I stopped diving as frequently and took up other interests. Recently, I decided that I was not ready to just sit on the bench. I wanted to stay in the game and keep on diving. The grandkiddos will soon be old enough to make bubbles and I would like to go along for the ride. However, I felt that I needed to improve my skills and techniques so that I would be a better diver and able to assist others. I remembered the confidence I gained in PADI’s progressive training system as I worked my way through those early courses many years ago. 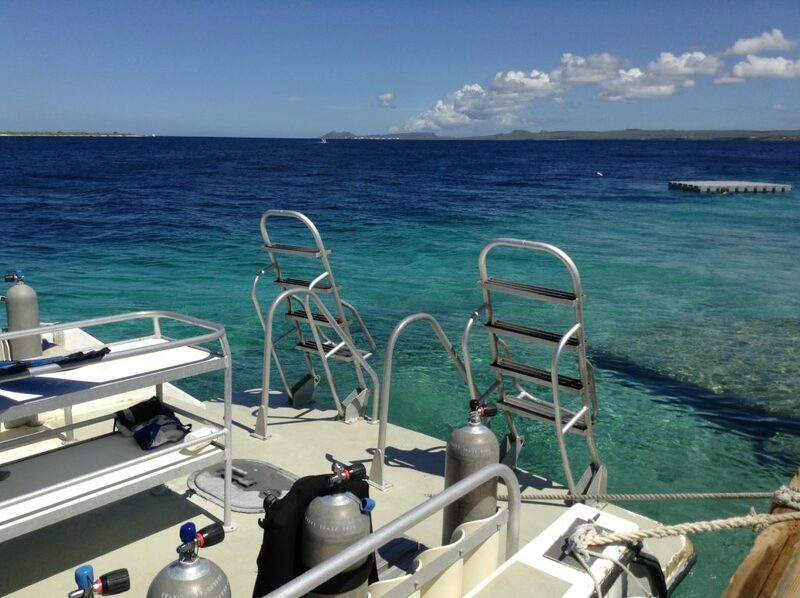 I saw the Divemaster course as a perfect opportunity to move toward the standard of personal diving that I aspire to. My friends had varied reactions toward my quest and mostly they said, “Go for it”. I already knew that being on the other side of 60 would make this a challenging undertaking for me both mentally and physically. The dive operation I chose was “Great Adventures Bonaire” (GAB) as it is a PADI Five Star Instructor Development Center and one of the best on Bonaire. I decided to do as much as possible ahead of time and checked these items off the list in advance: Online coursework for PADI Divemaster and PADI Dive Theory. I enlisted a swimming coach to help get me in shape for the water endurance (timed) tests. I took (CPR and First Aid) training within the past 24 months. Medical forms here completed and signed by my physician. When I arrived at the dive shop, I was paired with my buddy (a terrific gal from D.C.) which made the weeks in the water a lot more fun. Our “Rescue scenario #7″ was believable enough that 2 vacationing doctors appeared on the scene and offered to help! My new dive buddy and I pulled each other through our strengths and weaknesses, endured stress and enjoyed lots of laughter. Forever friends I dare say. Each day got harder and each day we got better. Perhaps by design? Otherwise PADI might have a terrible drop out rate! I have a lot of respect for the diving profession now that I have had a peek behind the curtain. It takes a lot of effort to focus on others and help prevent problems that may occur instead of just being concerned with yourself. It was truly a life enriching experience! I cried like a baby when I completed the course. It seemed impossible…..until it was done. I feel fortunate and I am forever grateful. We had the most wonderful instructor on the planet, Christine Ball, GAB Course Director and her terrific dive staff team. They all shared priceless tips and offered unwavering support. It’s hard to express how meaningful this experience was for me. 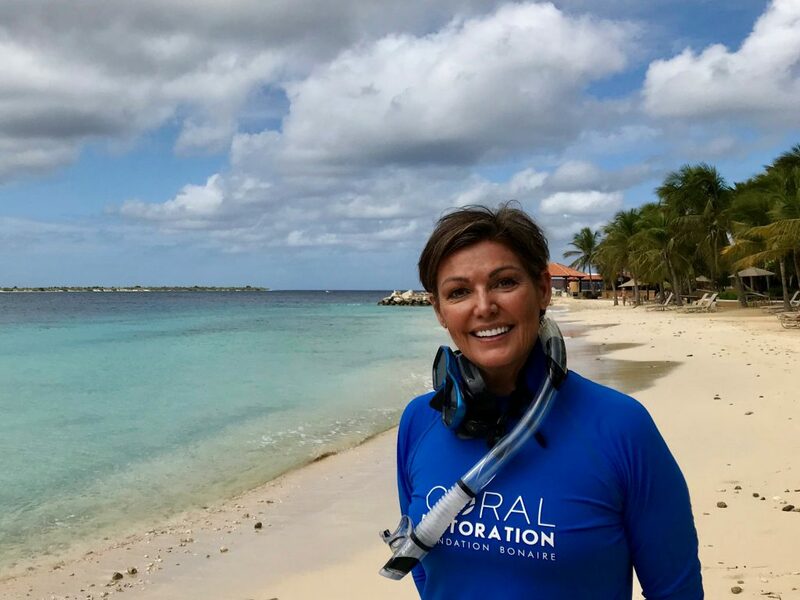 I wanted to share with anyone that has a desire to expand their underwater horizons later in life, that we can become more capable and self-reliant divers by gaining insight and developing our skills. Going into the course I wasn’t sure I could complete it, but I believed that IF I could get through it, I would gain a great deal from it. My expectations were greatly exceeded. I thought I would become a better, safer and more confident diver and in the end I not only accomplished that, I also became a better person. 1) To know my equipment inside and out. Off and on. Underwater and above. 2) That I can swim a long way underwater without my mask. 3) To exchange all my gear underwater with my buddy while sharing air. OMG! 4) Appearing calm scores big points. 5) Having a student changes how you feel and relate toward them. 6) I can eat a lot of brownies and not gain weight. 7) Guiding a dive boat of guests is harder than it looks. 8) To perfect that effortless Buddha hover….still perfecting. 9) I wanted it…..more than I was afraid. 10) Life IS better on the other side of Divemaster at 60 plus. Learn more about the PADI Divemaster course here. Okay, so I didn’t stop at Divemaster….